I suppose you could call this a voodoo and/or zombie film, but it feels more like period drama than horror. 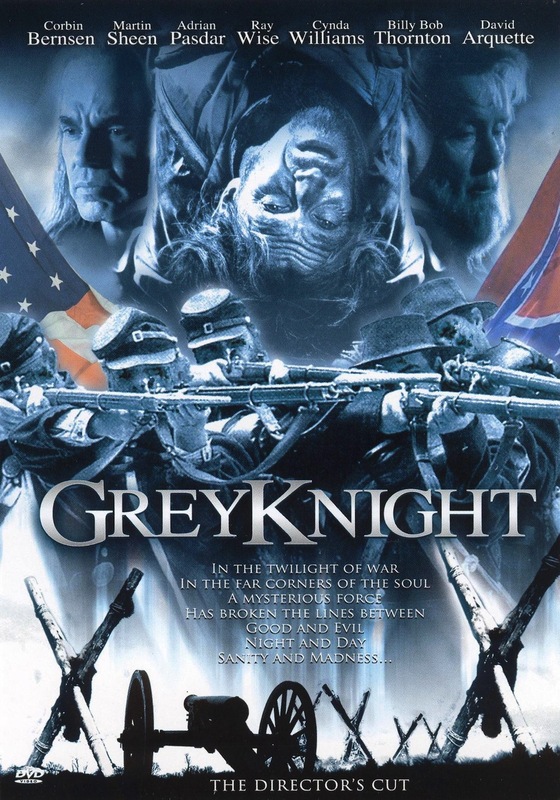 As with many voodoo flicks, Grey Knight focuses less on the black people who are the purveyors of said voodoo than the white people who suffer its effects — including notable actors like Martin Sheen, Billy Bob Thornton, Matt LeBlanc, Adrian Pasdar, Ray Wise and David and Alexis Arquette. In this case, Civil War soldiers fall frey to an African curse (brought over by slave traders; you mean there’s a price to slavery?) that turns them into the undead. These are hardly typical zombies, though; they walk and talk just like normal people. In fact, the only way to tell them apart from the living is their war-painted faces. Not exactly terrifying. Frankly, you wonder why anyone wouldn’t want to join their immortal army. The words “voodoo” or “zombie” are actually never really mentioned, and the movie is mostly a talky blah blah snoozer. 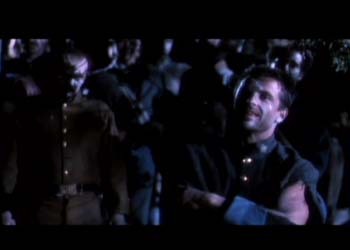 There’s really only one black character, and she’s a mute slave (Cynda Williams), who of course is the key to stopping this undead army that, if left unchecked, will go on…um, living and stuff. Some people might call Grey Knight a quiet, restrained tale or a thinking person’s zombie film; others might call it a freakin’ bore. I’m more inclined towards the latter. If nothing else I’ve said turns you off, the words “starring Corbin Bernsen” should suffice nicely.